Andrew Ayers, l'importatore inglese, ci annuncia il rinnovato Team Ancillotti per la Gran Bretagna ed il nuovo blog dove seguirne i risultati. Ai due gia' noti Rich Thomas e Jack Geoghegan, Rich viene da un anno molto positivo con il suo secondo finale nella classifica NPS Elite; ai due verra' affiancato il giovanissimo (tanto da richiedere una misura piu' piccola delle standard proprio per la giovane eta') Will Western. L'arancione domina la livrea del Team ed ovviamente delle Tomaso DHP. Al Team non possiamo che fare i migliori auguri per un ottimo campionato British (da quest'anno non si chiama piu' NPS), come ha piu' volte dimostrato negli anni passati. L'annuncio su wideopen ed il link al blog del team (che trovate anche nella lista dei link qui' a dx). 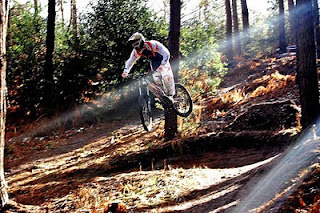 After some very successful seasons racing the UK domestic circuit, Ancillotti is proud to introduce its UK downhill riders and bikes for 2010. Richy Thomas in Elite category. 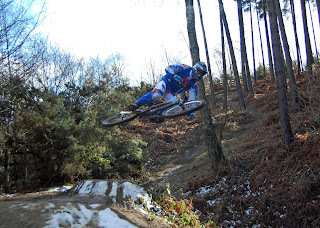 Richy is a familiar face on the UK DH race circuit and has progressed through the ranks since joining the team as a youth rider, enjoying a 2nd overall in the National series last year. Richy will be racing some selected world cup events with help from some personal sponsors and, of course, Ancillotti, Italy. Jack Geoghegan in Expert category. 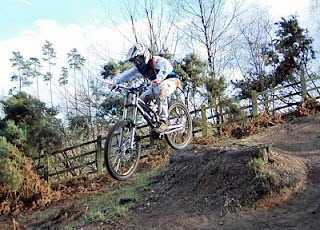 Jack finished in 16th position at the national series in 2009. Jack has been training hard and is looking to qualify again for some of the European World Cup rounds after his success and results in the past season. Will Western in Juvenile category. Will is the newbie in the team, joining with a very respectable 8th position overall in the Juvenile category last season, and looking to improve his racing career. Will, like many young riders lives and breathes all things bike, and with a new race bike and strong support he hopes to have a very prosperous season! 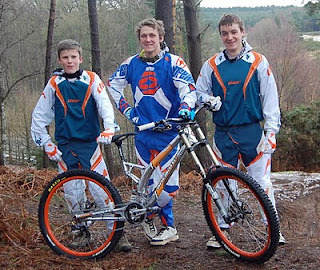 Ancillotti UK will also be supporting a select few young, up and coming riders throughout the 2010 season. Ancillotti UK would like to thank all of the sponsors who have supported the team for 2010 and also in past seasons. In 2010 the team would not be able to run without the brilliant support from Shimano, Funn, Maxxis, 661, Thor, M:Part, Rockshox, Kustom Koating, Total bike Tuning and Ancillotti Italy.